According to the report, the world is on the verge of a “new industrial revolution.” This represents not only an emerging General-Purpose Technology platform, but also a paradigm shift towards decentralised and software-oriented means of production. Embedded Intelligence – incorporating Systems of Systems, Embedded & Cyber-Physical Systems, Electronic Components and Embedded Software Technologies – is at the heart of this. Cyber-Physical Systems, in particular, serve as a bridge between the technology-rich, vertically-integrated physical world and the data-rich, lateral interaction-based cyber world. 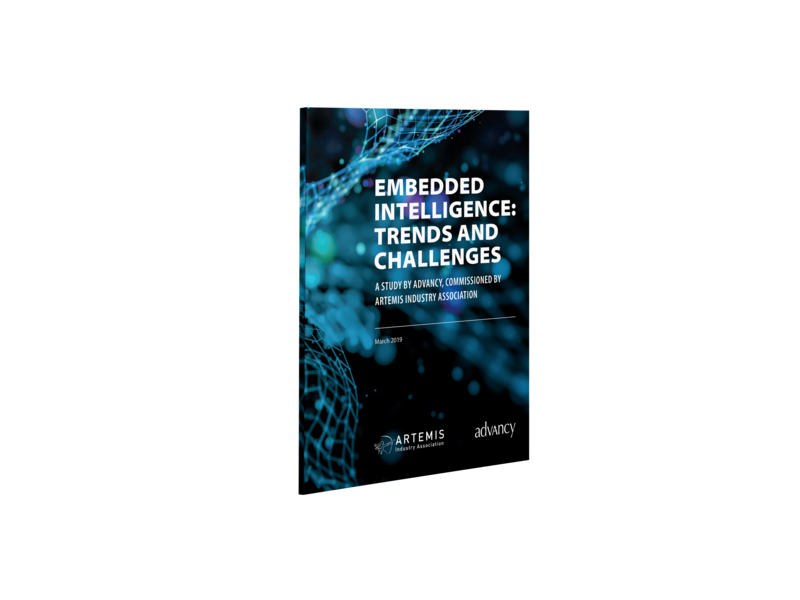 With factors like cybersecurity and interoperability as cornerstones, Embedded Intelligence lays the foundation for future breakthroughs such as edge AI, predictive maintenance and augmented reality. Europe’s major challenge is twofold: value is shifting not only geographically, but also along the value chain itself. China is a leading force in this; having overtaken the EU in terms of relative weight of GERD (Gross Domestic Expenditure on R&D) in recent years, it also announced an investment of USD 100 billion in its ongoing Five-Year Plan and ‘Made in China 2025’ initiative. Meanwhile, value is moving away from hardware and towards Systems of Systems, applications and solutions. This segment of the value chain is expected to grow tenfold over the next decade (reaching somewhere between USD 3.9 and 11.1 trillion), so Europe must position itself carefully in order to remain competitive. By expanding investments in Embedded Intelligence-related R&D&I fields, the report makes it clear that long-lasting economic and societal benefits can be secured within the EU. In order to compete with the US, China, Japan and South Korea, these investments should target software to an equal or greater degree than hardware; the ARTEMIS-IA community therefore has a key role to play in maximising value in the aftermath of the new industrial revolution.